Last year, it happened in Fresno, Calif., to a grandmother so distraught she could not tell responding police officers a single thing, couldn't form words. It also happened in Salisbury, N.C., to a mother who left her daughter in a black Chevrolet outside a medical center, where she worked. It happened again near Dallas, Texas, to 2-year-old Boi Lei Sang, whose parents were at bible study at Rehoboth Praise Assembly when they noticed on a hot day that only four of their five children were inside the church. 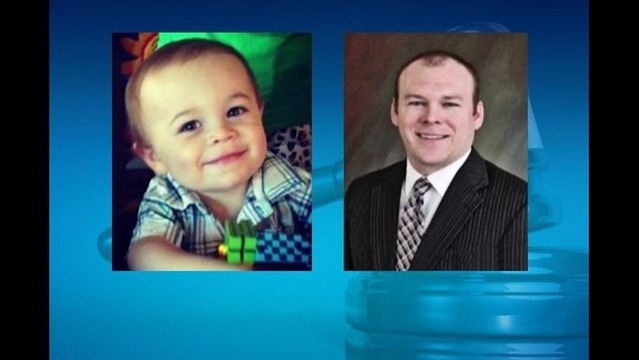 It happened to Wade Naramore, a circuit court judge in Garland County, Arkansas, who said morning prayers with his 18-month-old son, then took him for breakfast at McDonald's, then forgot to take him out of the car. That afternoon, when temperatures had soared into the 90s, neighbors found the judge cradling a pale, purple body on his front lawn, wailing. "I killed my baby!" he cried. "I killed my baby!" A jury acquitted Wade Naramore, a circuit judge in Arkansas, after he left his son Thomas in the back of a car. The horrifying mistake of forgetting a child in a car can challenge the way we think about parenting and the justice system, especially when it happens close to home, like it did Tuesday in Brandon. Who could do such a thing? we wonder. And shouldn't they be punished? "The biggest mistake people make is thinking it won't happen to them," said Janette Fennell, founder of kidsandcars.org, a nonprofit child safety organization. Nancy Byrd-Wilkins of Wilmington, N.C., took her infant to the doctor's office one morning in May, then stopped for coffee, then headed for work, clocking in at 9:36 a.m. She got off at 5 p.m. and drove to fetch the baby from daycare. The dispatcher who took the 911 call heard only screaming, and could make out just four words: baby in the car. Joshua Lewis Blunt found his 8-month-old daughter in a car outside the restaurant where he works in Grenada, Miss. Jose Garcia, 18, found his 5-month-old nephew in a car outside his apartment complex in Helotes, Texas. 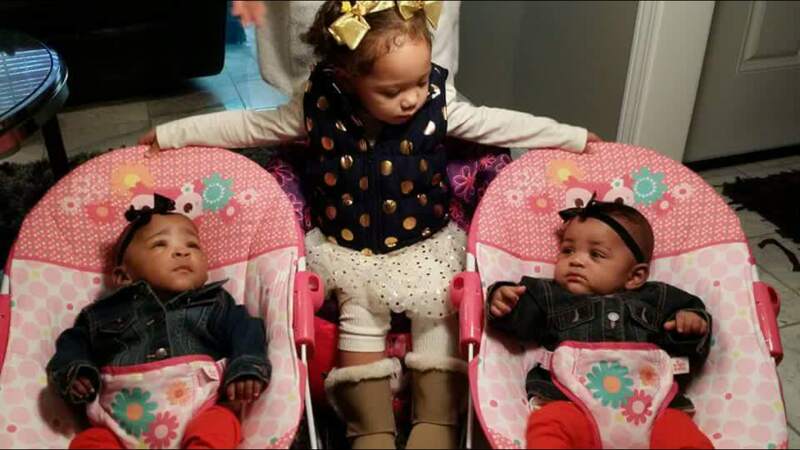 Asa North, 24, found his twin 15-month-old daughters, Ariel & Alaynah, in an SUV outside a home in Carrollton, Ga.
Asa North, 24, was charged with manslaughter and reckless conduct after he left his twin 15-month-old daughters, Ariel and Alaynah, in an SUV in Carrollton, Ga.
Police arrive to find broken glass and open car doors and the "unique odor of death." They arrive to find bystanders on the phone with 911, bystanders screaming, bystanders telling them CPR was "like blowing into a busted bag." They arrive to find babies with discolored abdomens, skin slippage, internal temperatures well above 105 degrees. They arrive to find emotionless parents, wailing parents, parents who try to wrestle away their guns to end the pain. They arrive to find parents holding babies under cold showers, in kiddie pools, up to air-conditioning vents. They arrived on June 21 to find that Michael Thedford, 33, a Texas high school teacher who had dropped two of his three children at daycare before heading home to take a nap, had put his dying 6-month-old daughter in the refrigerator because that made the most sense to him in that nonsensical moment. They arrive to find people like the grandmother in Macedonia, Ohio, who must learn how to live with the fact that she left work at Walmart, drove to eat lunch at McDonalds and returned to work the rest of her shift, not realizing that her infant grandson, Jayce, was dead in the third row of her SUV. Who could make the fatal mistake of leaving a child in a hot car? It happens roughly 37 times a year in the United States, with most of the victims under the age of 3, according to statistics compiled since 1998 by Jan Null in the department of meteorology and climate science at San Jose State University. An examination of media reports of more than 700 deaths in that period shows that about 54 percent happen when a caregiver forgets the child. The same stats show that 17 percent are intentionally left. And yes, it happens to the drunk and the drugged and the criminally neglectful, but they are the minority. It has happened to a dentist, coaches, teachers, a social worker, a soldier, a preacher, a paralegal, a police officer. Lawson Whitaker died in September after his father, a Hillsborough firefighter, forgot that he was in the back seat. In September it happened to a Hillsborough County firefighter, Troy Whitaker, 42, who dropped one of his two children off at daycare in the morning. He then went about his day, which included an afternoon run to Publix, without realizing his toddler son, Lawson, was still strapped in the car seat. He eventually pulled the boy from his truck, called 911 and began CPR. A neighbor heard the inconsolable fireman yelling, "I can't believe I did this!" Prosecutors chose not to proceed with a criminal case. "It's just heartbreaking to listen to the 911 call where he discovered the kid," Bruce Bartlett, chief assistant state attorney in Pinellas County, said in January. "What he will live with for the rest of his life far exceeds anything that could be done to him with regards to punishment." And it has happened twice already this year, both times in Florida: first on January 6 in Pinecrest, and again on Tuesday in Brandon, when Fiorella Vanessa Silva-Tello, 21, left her half-brother locked inside the vehicle at 9 a.m. while she went to work at a mall. She didn't discover her mistake until she went on break at 2:30 p.m., a sheriff's office spokesman said. The daycare center that Jacob Manchego, 2, attended posted a message this week saying the little boy had a remarkable laugh, was full of energy and loved to give hugs. Jacob Manchego, 2, was left in a hot car for more than five hours. A display in memory of two-year-old Jacob Manchego hangs outside BFF Kidz day care center. Jacob died Tuesday after his half-sister went to work and left him in her car for more than five hours. This story includes information from the Associated Press, Dallas Morning News, Des Moines Register, Washington Post and Akron Beacon Journal. Ben Montgomery can be reached at [email protected] or (727) 893-8650. Follow @gangrey.